When I see videos like this, I’m amazed by the strength displayed by kids at such a young age. But is it a good idea? Let’s go over some things. 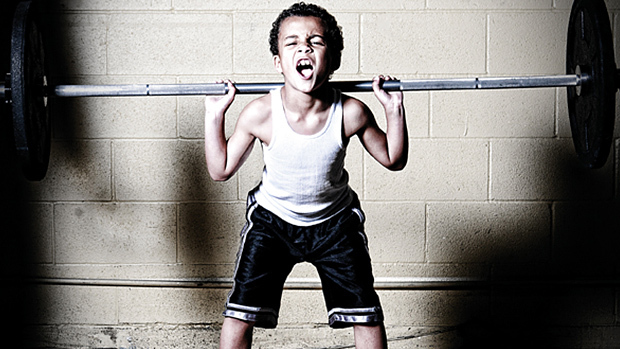 When should kids start weight training? What kind of weight training should they do? How much weight should 12 / 13 / 14 year olds lift? We’ve all heard the claim that kids will stunt their growth or cause other lifelong problems by lifting heavy weights. As it turns out, this myth may have come about as merely an observation from decades ago that Japanese child laborers were shorter than other kids their age. Great science, huh? The other issue was the idea that growth plates, which are areas of developing tissue at the end of long bones, would get crushed by heavy lifting, resulting in abnormal growth in those bones. Thankfully, the medical and fitness communities are doing a 180 turn on this myth, recognizing that when basic guidelines are followed (that apply to adults as well) the risk of growth plate damage is very unlikely and that the benefits far outweigh the risks. William Impo at Box Life Magazine has a good article about this. The studies conclude that kids are much more likely to get hurt doing contact sports like football than with weight training. This makes sense, because at their age young kids really aren’t going to be able to lift a lot of weight anyway until they have had a lot of practice, hopefully with some coaching. A good coach will have them lift with good form, stress the importance of warming up, and teach them to lift safely in other ways such as using a power rack or learning to dump the bar from a failed clean-and-jerk. As it turns out, most injuries to kids when weight training are due to dropping weight on their feet, pinching their hands in weight stacks, things like that… not from the actual act of lifting weights. The fact is, lifting weights is good for you, and it really doesn’t change with age. No matter what your age, weight training increases bone mass and density to better support heavy loads, protect against trauma, and carry you into old age well. And the more muscle mass that kids have, the more likely they will be able to take sports accidents without injury, whether it’s being tackled by an opponent or falling off a balance beam. … Or that the kid is fine to jump off the swings at school, drop from the monkey bars, and jump out of trees. These things, while none of them are dangerous put an immense amount of force (far greater than any goblet squat) on the knees, ankles, and back. The list of examples are endless. Many adults don’t follow simple common-sense guidelines as to when they should start training. The same guidelines apply to kids. If he can’t do 20 pushups (arguably more), he has no business piling on weight for a max bench press. If you can’t do lots of air squats with good form, the same rule applies, and so on for any exercises. Kids need to build a base of athleticism through games and sports before they are ready to start getting serious about lifting more weight. Stay away from leverage-based weight machines! 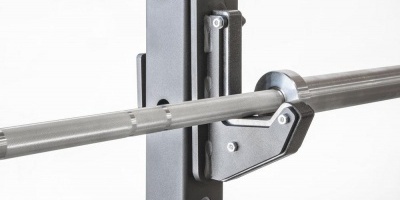 These weight machines are great for specialized purposes, such as advanced bodybuilders who need to target specific muscles when other supporting muscles are already tired out, or for rehabilitation after an injury. Most people should not be touching them, least of all kids. Machines promote unnatural movement patterns. They should be learning coordination and power that will serve them through any activities in their lives. Cable machines are fine, because they allow full freedom of movement and require supporting muscles to be used as well, greatly reducing the risk of overdeveloping one muscle in relation to another and creating imbalance. 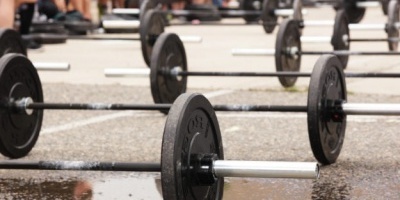 So cable crossovers, functional training machines… all good. Other options besides traditional freeweights are resistance bands, medicine balls, kettlebells, and other types of functional exercises such as box jumps. Bodyweight exercises are great too, including pullups, pushups, air squats, box jumps, burpees, and any kind of running drills already used in high school sports training. There is no cutoff age at which point kids should be allowed to lift weights. Kids should, however, be kept to sub-maximal weights before puberty. This means no max attempts. Submaximal training has been shown to be effective in young kids, not so much in increasing muscle size, because they just don’t have the hormones for that yet, but it does cause neuromuscular adaptation and all those other good benefits associated with weight training. Once they hit their tweens and teens and hit puberty, they will be able to go heavier and challenge themselves more, but they should still stick to higher rep schemes in the 10-15 rep range rather than going for any 5 rep maxes or fewer. Proper form remains extremely important. The main difference with adults isn’t so much that they can handle max attempts better for any particular physical reason. It’s more about managing the risks of inherently risky activities. Adults have hopefully learned a few things about what they can handle. Kids do stupid things. There’s a reason they aren’t allowed to vote, drive, or buy alcohol. An example of a kid doing a squat with bad form. He needs to be taught properly. Plus, kids are highly susceptible to pressure from peers or adults to perform, and it isn’t a good idea to push them physically in a max-lift type of way. Attention to proper form and improving athletic performance and endurance is much more important and appropriate for their age.